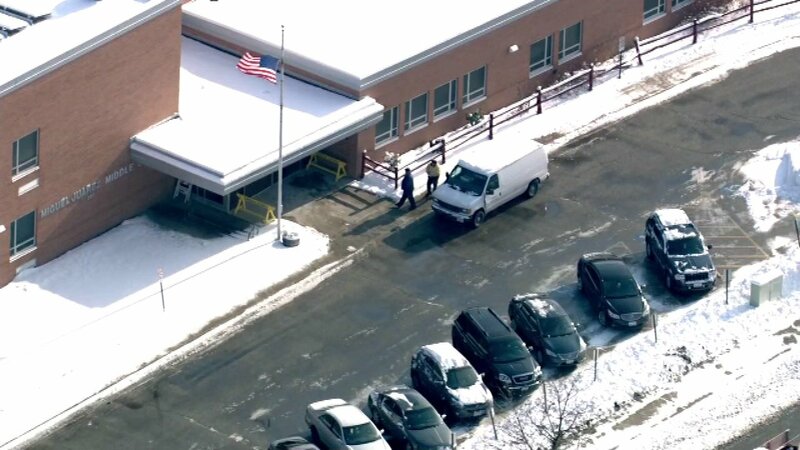 WAUKEGAN, Ill. (WLS) -- A north suburban Waukegan middle school was placed on lockdown after a possible threat Monday morning. The Miguel Juarez Middle School lockdown began about 11:30 a.m. at 201 N. Butrick Street after someone called police and said a person had walked into the school with a gun. Police investigated and gave the school a thorough check. The lockdown was lifted after 20 minutes.